fujisuperia – M changing lives with images. The year is 2015. We see a shift of marketing from magazine and printed ads to influencers and celebrities in the social media. There are now full time fashion bloggers that manages to etched out a living by blogging, uploading photos and socialising. The source of power behind all these activities : images. Daniel wellington gave away their watches to mid level influencers in instagram and facebook. Influencers whom are not actresses nor celebrities in any level. The actual celebrities and high end influencers are only available to actual luxury brands, but the mid and entry level influencers whom none of the big names cares to contact were flattered by such invites and free gifts. DW made a killing with this strategy. The lower influencers just wears it and images of them begin to populate the average feed of the millennials. Images can change lives. I have personally seen how my photos changes lives of some of these new models/influencers in many ways. While the complexity of life and opportunities are never attributed to just image generation, it is without doubt part and parcel of today’s marketing. Marketing creates leads and opportunities. The line is blurring between those capable of creating images, the subject herself/himself and the advertising firms. Google, facebook, instagram, whatsapp, youtube are all tied to the advertising industry as a whole. The biblical truth of “do unto others what you want others to do unto you” being applied unknowingly, in the most powerful and direct manner : advertising. We help you make money, you give us money. The power behind advertising today? 3 types of images. – Images that moves and have sound/voice/music. Texts are just messages carried by the images to strengthen its message. Are you an image maker? Congratulations, you have been empowered to do something in this world. We were all made in His image when the world begun, its a process that works across borders and time. All images shown here are taken on film, superia and fuji pro400 on Nikon F100, 50 1.4d. I am continually amazed at the unedited results of fuji’s superia 200 film. You can get one of these film at $4 per 36 exposures. 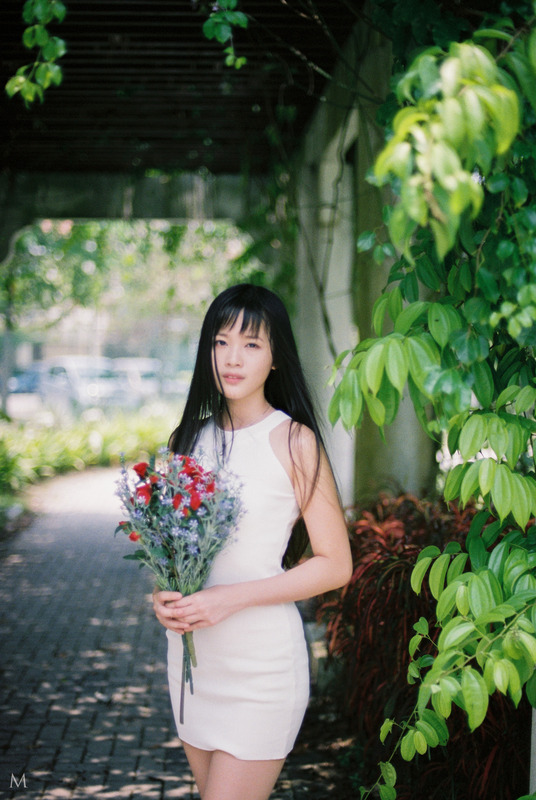 Use a natural garden or floral background and watch ur own jaw dropped when you get the film processed. 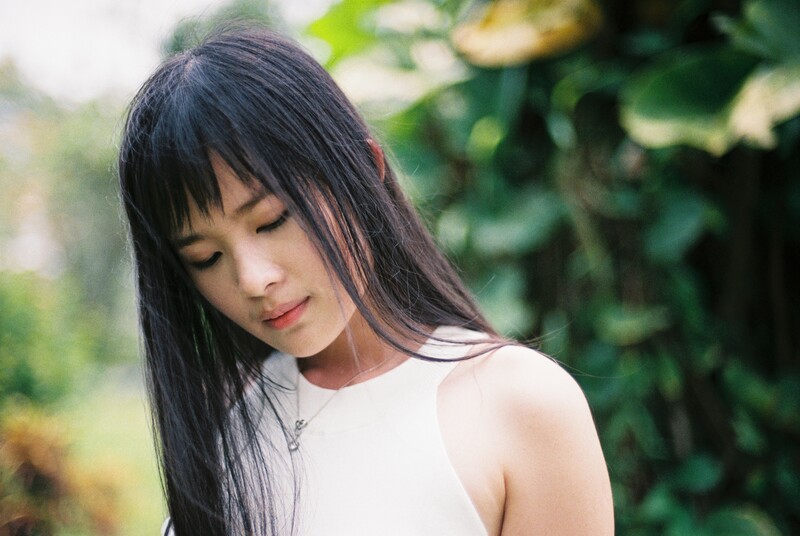 More photos from this project : Elaine’s first photobook coming.